I admit it. I’m still into comic books. I’m nuts about Superman, Batman, Spiderman and lots of other justice seeking superheroes. For what seems like forever, I’ve been waiting for Clark Kent to put on the costume and fly on Smallville. 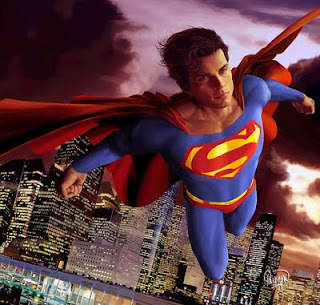 Kal El has one more chance to fulfill his Kryptonian destiny and become Superman tonight in the series finale. Superheroes always talk about destiny. They understand that there are two kinds of people in the world. Some of us wait for things to happen and some of us make things happen. Some of us are followers and some are leaders. Some of us like certainty and others are comfortable taking risks. I’m not so sure I believe in destiny. I don’t think I was destined to own a Denver PR firm. I don’t know that I was destined to move to Denver or be a musician or work for a baseball team or run my own business. Those are all decisions I made along the way that determined the course of my life. I think I just made those things happen, instead of waiting for things to happen to me. We make decisions and take the path that feels right for us when we get to the fork in the road. Some of it is planned and some of it is just dumb luck. The trick is figuring out if you prefer to follow someone else or pave the way. Do you take the path that your parents or your boss lays out for you or do you try to find your own way? As PR pros, we often talk to clients about their objectives. What do they want to accomplish? What do they want to say? What story do they want to tell? It’s surprising how often the answers are not clear. They don’t know, or maybe they have never even considered the questions. They are waiting for things to happen to them instead of making things happen for them. You and your business and your staff and your team all deserve the opportunity to determine their own destiny. To decide what kind of brand they want to represent or leader they want to be. It is important to create a culture that allows everyone in the organization the freedom to grow and improve and change and blossom. A culture where everyone is free to fulfill their destiny. As Spiderman says, with great power comes great responsibility. Like Superman, we must use that power wisely to lead the kind of life and leave the kind of legacy we choose to create.